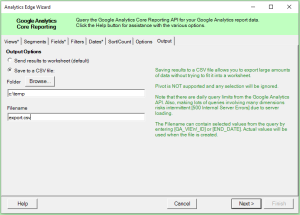 The Output tab (available only in the Google Analytics Pro Connector) offers the ability to download direct to a CSV (comma-separated) file instead of returning the results to Excel. This may be useful for extra large downloads that might exceed the capacity of Excel. 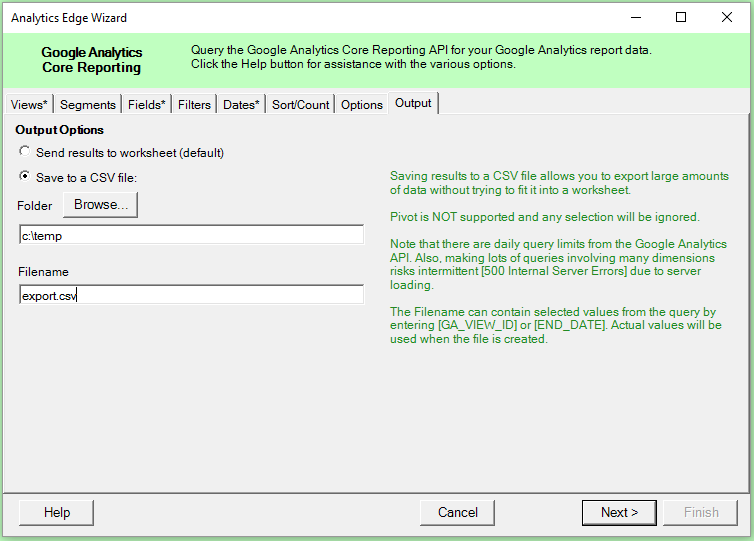 Note: the Pivot capability is not supported for CSV downloads, and any selection will be ignored. Caution: large downloads with many dimensions are subject to server overload errors (500 error code) which will stop the download. This entry was posted in Google Analytics on 2016/02/16 by functions.